Microsoft Online Services Directory Synchronization tool allows you to keep your local Active Directory continuously synchronized with Office 365. 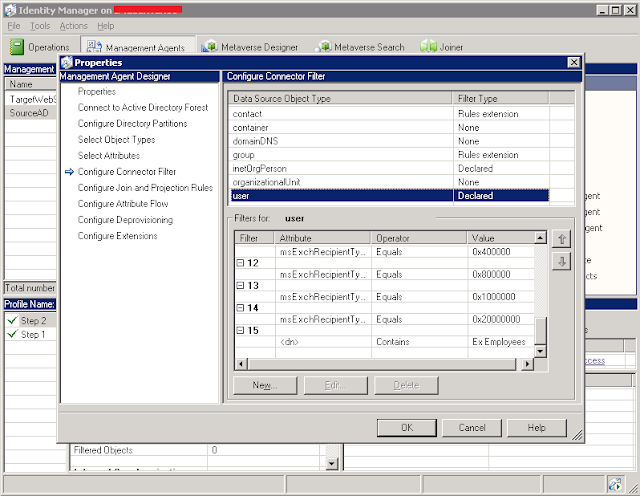 This tool synchronizes user accounts and groups from AD and global address list (GAL) from Exchange Server environment. DirSync is mainly used in scenarios which you want to have rich co-existence and Single Sign-On for identity federation between your AD and Office 365. The default configuration of DirSync synchronizes almost all types of users from AD to Office 365 environment which meets the requirements of most organizations. However in some scenarios administrators may want to apply filters on DirSync to stop synchronization of some certain objects from AD to Office 365 e.g. filter out disabled user accounts or service accounts etc. 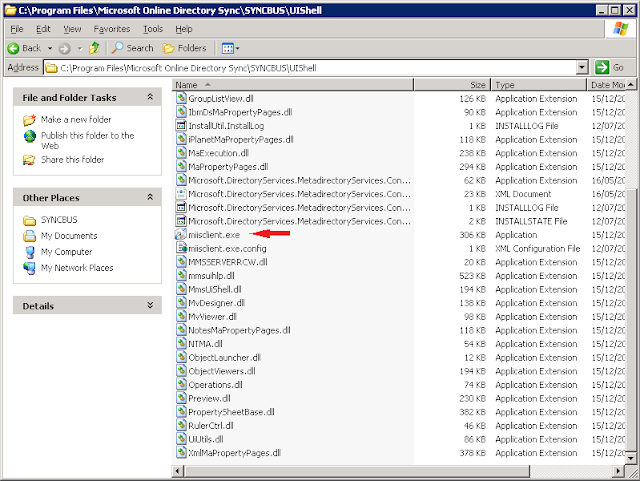 Microsoft Online Services Directory Synchronization uses Microsoft Identity Integration Server (MIIS) for its service. 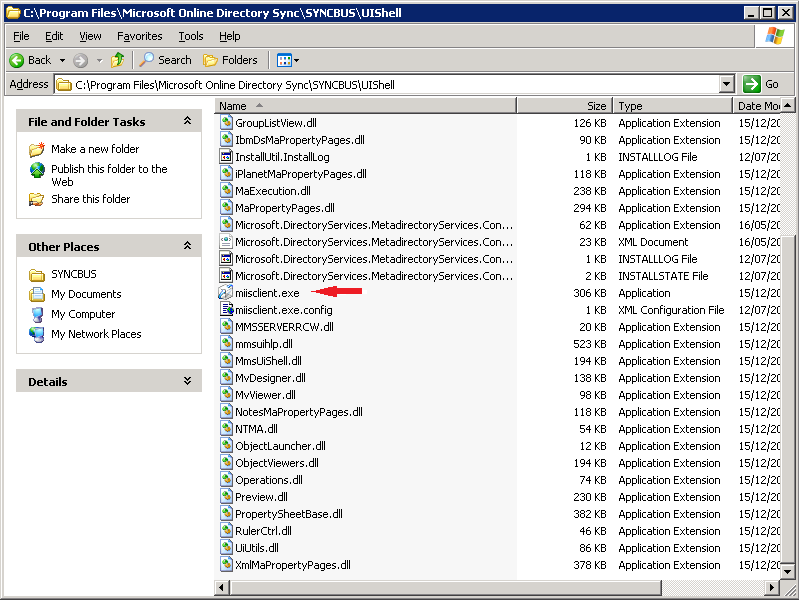 This can be found in C:\Program Files\Microsoft Online Directory Sync\Syncbus\UIShell path on your DirSync server. 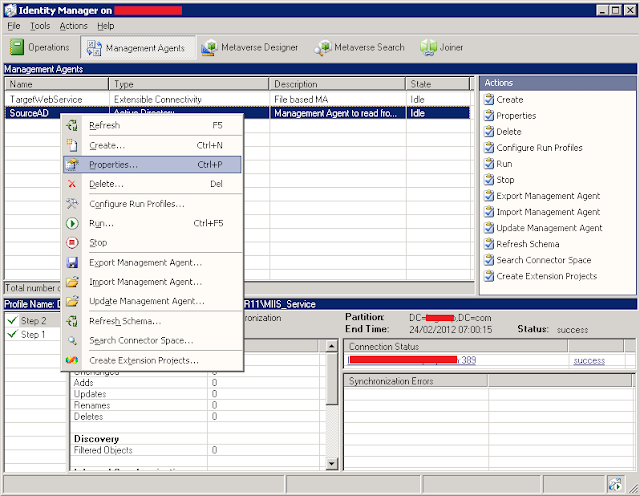 If you open miisclient.exe you will notice there are two agents which both were created when you first setup DirSync. 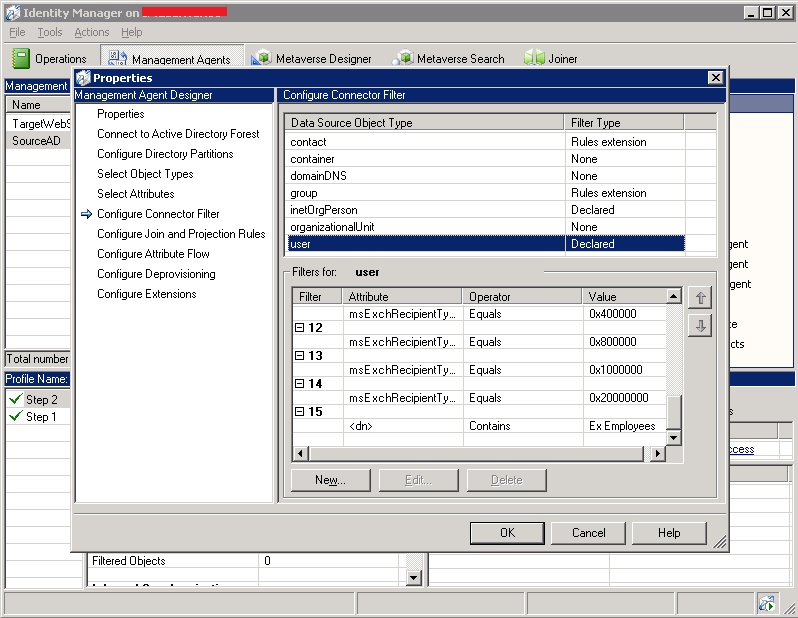 On the Properties screen navigate to Configure Connector Filter. If your organization requires more filters on any object types, this is the place to apply them. Lets have a look at the “user” object type: Under Data Source Object Type find “user” type. You will see there are some existing filters already applied to user type. 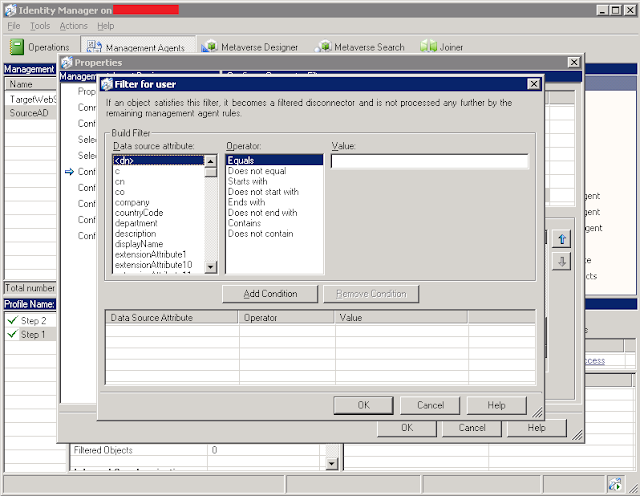 To create a new filter you need to define the data source attribute and its condition(s). Below you can find a reference to LDAP attributes. CN=Guy Thomas. Actually, this LDAP attribute can be made up from givenName joined to SN. Maps to 'Name' in the LDAP provider. Remember CN is a mandatory property. See also sAMAccountName. displayName = Guy Thomas. If you script this property, be sure you understand which field you are configuring. DisplayName can be confused with CN or description. DN is simply the most important LDAP attribute. name = Guy Thomas. Exactly the same as CN. objectClass = User. Also used for Computer, organizationalUnit, even container. Important top level container. This is a mandatory property, sAMAccountName = guyt. 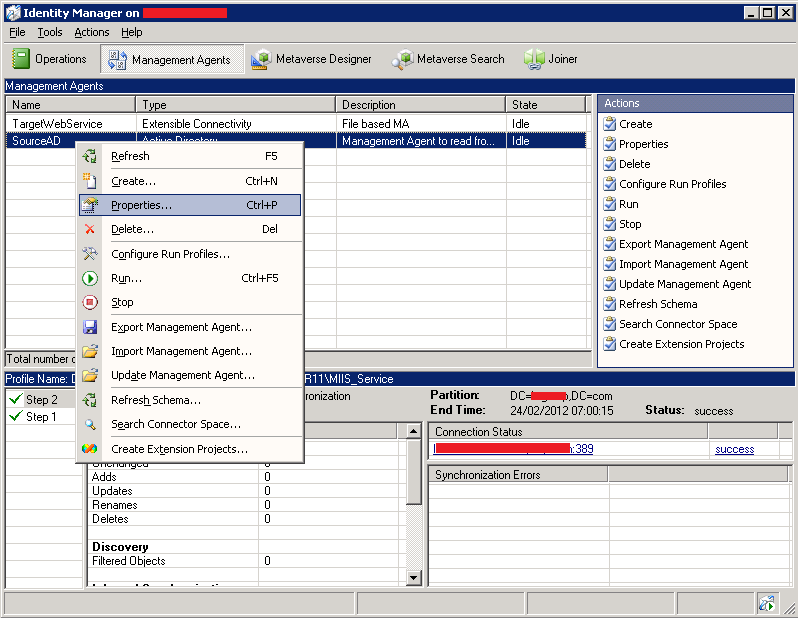 The old NT 4.0 logon name, must be unique in the domain. 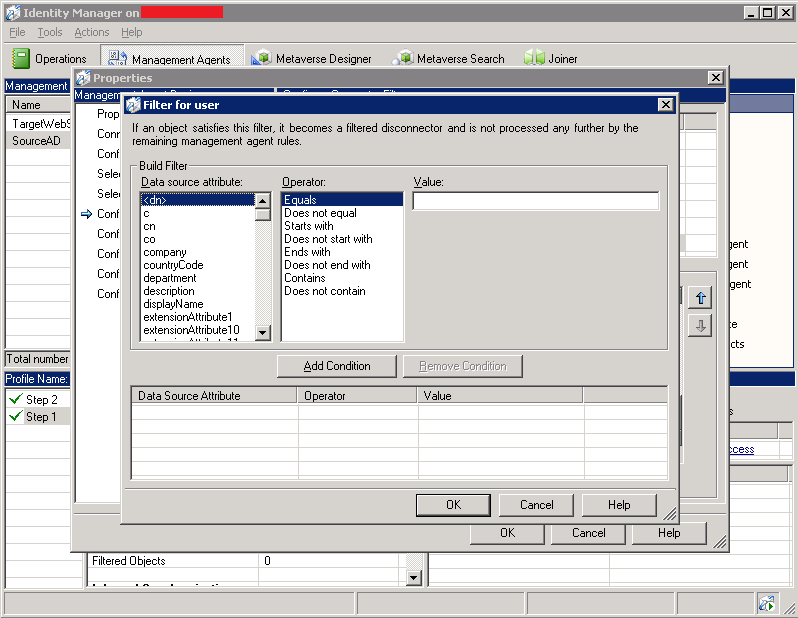 If you are using an LDAP provider 'Name' automatically maps to sAMAcountName and CN. The default value is same as CN, but can be given a different value. SN = Thomas. This would be referred to as last name or surname. userPrincipalName = guyt@CP.com Often abbreviated to UPN, and looks like an email address. Very useful for logging on especially in a large Forest. Note UPN must be unique in the forest. Important, particularly for printers and computers. Great post, very specific and informative! Thanks for the great post, it resolved my query.